This kit is all you need to get your vacuum cleaning again like it did when it was new. 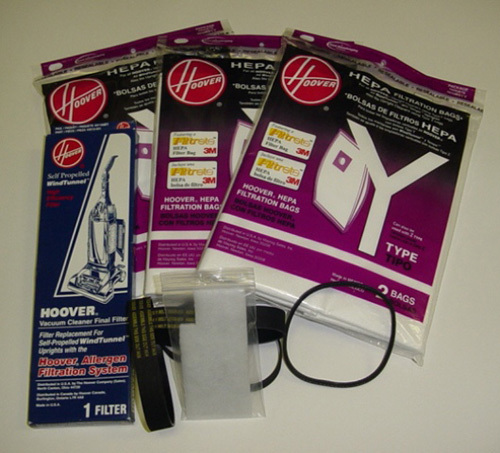 This kit is for All Hoover Power-Drive WindTunnels that use Bags. Sold separately; this kit values at over $54. 00 but order it here for less. Don’t be caught without bags, belts or filters again.